In a press release published on 27 February 2019, the French National Frequency Agency (ANFR) announced that it had requested and obtained an update from XIAOMI of two of its mobile phones, the Redmi Note 5 and the Mi Mix 2S, in order to ensure compliance with the limit value for specific absorption rates (SARs) located “head” and “trunk”. This temporarily brings the number of smartphones pinned down by the control agency in 2018 to twelve. Concerning the Redmi Note 5, the tests were carried out on 25 September 2018 by the German accredited laboratory CTC Advanced. The head SAR for 10gr is 2.08 W/kg higher than the regulatory value of 2W/kg. And it is the exposure in 4G that mainly explains the observed overruns. However, ANFR says nothing in its press release about possible actions against the Chinese manufacturer. We have therefore written to them today to find out what legal measures have been taken to address this deception on the actual SAR levels of the Redmi Note 5 model. We already knew the manufacturers who “forget” to inform their customers of exposure threshold violations, Xiaomi is no exception. Not a word either on the page of his website dedicated to the distribution of Redmi Note 5. And worse, the Chinese manufacturer leaves the initial SAR level of 1.29 W/kg misleading, whereas it is 2.08 W/kg before the update. 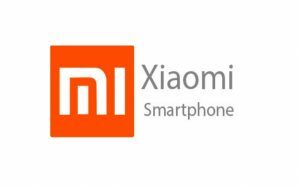 Xiaomi is even stronger by launching, on the same day of ANFR’s announcement that it has exceeded the DAS, a commercial promotion of its model, sold according to the Clubic website, with a 30% discount. Another Xiaomi model is the MI Mix 2S, which has a trunk SAR of 2.94 W/kg well above the regulatory limit of 2W/kg. This one has been updated. And as with the other model, no information is provided to customers and there is another price promotion on the same day as the announcement of the ANFR press release.